Anyway, I’d also learnt that the Lancome O My Rose collection is out at counters so I stopped by to take a look and make some brief observations. Ok mystery solved. 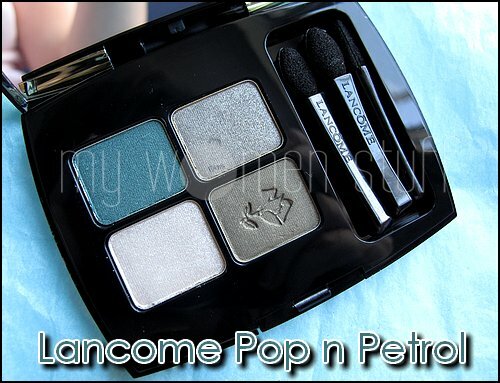 We are getting the Pop n Petrol (rectangle), not Pop n Green (round) palette. I thought the Pop n Petrol would be blah. I’m very happy that Lancome has proven me wrong. There is another more neutral palette in Pop n Copper but I felt it was a bit warm. Would be lovely on anyone who can pull off warm coppery shades though. I can’t so its definitely no go for me. 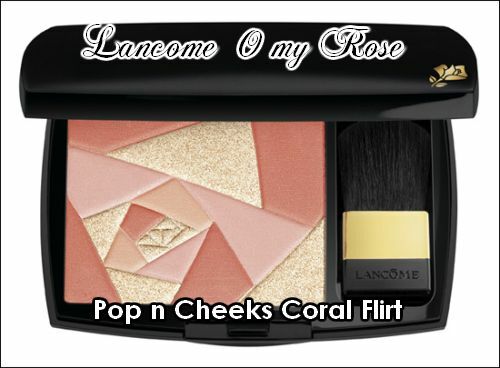 I was actually at the Lancome counter to pick up the Pop n Cheek blush but paused for a moment to think. It was cheaper than I expected and honestly, even without all the gold glitter, it was still pretty in a geometrical fashion. Its a blend of coral, yellow and peach shades and doesn’t look half bad. My only problem was getting it to show up because its light. Pretty as a light peach-coral blush but I already have a bunch of light blushes for now. The jury is out on whether I liked it enough to buy it. I was planning to but decided to think about it a bit more. I’m taking a slow drive home to my hometown this evening to celebrate the coming Chinese New Year with my family. Not my favourite time for travel, but I had no choice. If you are traveling as well, do drive safely! 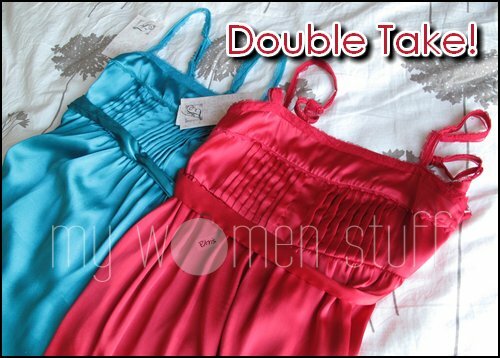 hey that was a good deal on the zara dresses! Actually, that was my first thought on the eyeshadow: ERICA F?! Oooo!!! Those Zara dresses are pretty!! So you got the Pop n Petrol?? Oooo… They look good-ish, I suppose? Happy CNY! Love the dresses! Have a safe drive yar? Gong Xi Fatt Chai & have a save trip ! Gong Xi Gong Xi, have a safe drive home! I lucked out actually 😀 Zara is overpriced here too! Have a Blessed Year Paris! Thanks for inspiring me…..
gong xi fa cai n xinnian kuaile PB! drive safe! Those dresses are beautiful! Happy CNY! I don’t blame you for buying the same design in different colors… It’s beautiful!